In the Global South, indigenous people have been continuously subjected to top-down, and often violent, processes of post-colonial state and nation building. This book examines the development dilemmas of the indigenous people (adivasis) of the Indian state of Kerala. It explores the different facets of change in their lives and livelihoods in the context of modernisation under different political regimes. As part of the Indian Union, Kerala followed a development approach in tune with the Government of India with regard to indigenous communities. However, within the framework of India’s quasi-federal polity, the state of Kerala has been tracing a development path of its own, which has come to be known as the ‘Kerala model of development’. 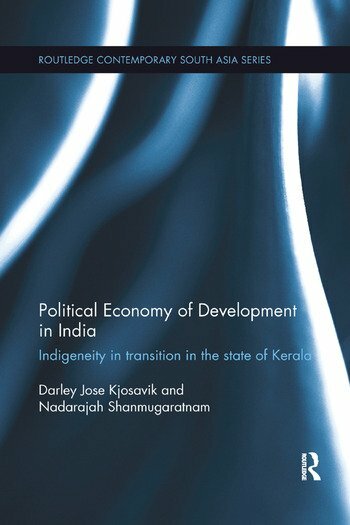 Adopting a historical political economic approach, the book locates the adivasi communities in the larger contextual shifts from late colonialism through the post-independence years, and critically analyses the Kerala model of development with particular reference to the adivasis’ changing political status and rights to land. It pays special attention to policy dynamics in the neoliberal phase, and the actual practices of decentralisation as a way of including the socially excluded and marginalised. Offering a theoretical elaboration of the interaction between class and indigeneity based on intensive fieldwork in Kerala, the book addresses adivasi development in relation to the general development experience of Kerala, and goes on to relate this particular study to the global context of indigenous people’s struggles. It will be of interest to those working in the fields of South Asian Development, Political Economy and South Asian Politics. Darley Jose Kjosavik is Associate Professor of International Development Studies at the Department of International Environment and Development Studies, Norwegian University of Life Sciences, Norway. Nadarajah Shanmugaratnam is Professor Emeritus of International Development Studies at the Department of International Environment and Development Studies, Norwegian University of Life Sciences, Norway.